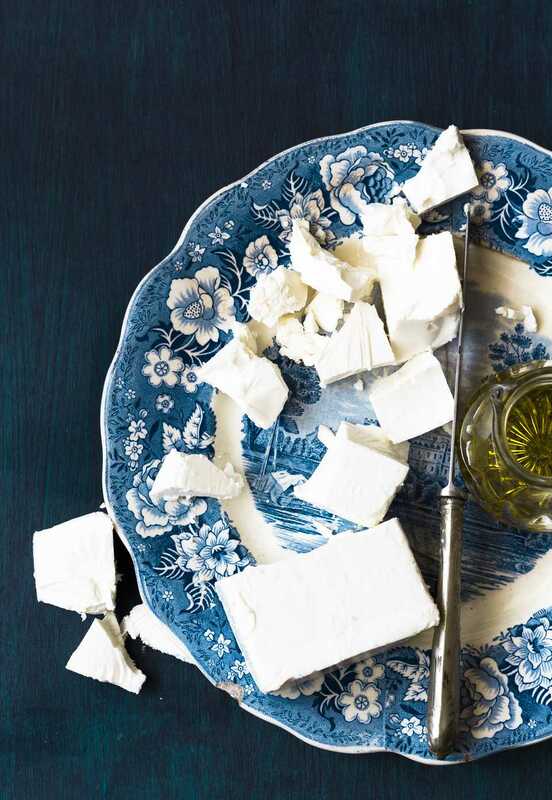 With its centuries-old heritage, it is hard to believe that feta cheese has only become an international sweetheart of chefs within the past thirty years. This rich and tangy soft cheese of humble origin has long been a staple in the Mediterranean region but is now enjoyed worldwide. Before trying one of the many feta cheese recipes, learn a little bit more about selecting and storing feta cheese, plus cooking tips. The finest feta cheese should be purchased direct from its brine bath. If it is pre-packaged, it should have some of the brine in the packaging to keep it moist. Feta cheese is best when eaten fresh, so always check the date. If you will not be consuming it immediately, store feta cheese in a brine or milk bath. The milk bath will reduce the saltiness and help keep the cheese moist and mild in flavor. Properly stored in brine or milk and refrigerated, feta cheese will last up to 3 months. Feta cheese is not a candidate for freezing. • In general, feta cheese and goat's cheese can be used interchangeably if need be. • Those on salt-restricted diets should avoid feta cheese. • Feta is considered a medium-fat cheese on a par with mozzarella and reduced-fat versions of regular cheeses. However, feta cheese will crumble easily, whereas mozzarella will not. • Allow a good thirty minutes for feta cheese to come to room temperature to fully enjoy its rich, tangy flavor and creamy texture. • In a pinch, Muenster cheese can be substituted for feta cheese in many cooked recipes. • Anchovies, lamb, tomatoes, basil and black olives marry beautifully with feta cheese.